Most of you know one of our goals for this spring/summer is to revamp our boring builder-grade kitchen. Brad and I were actually talking about all of our plans the other day while walking Jack at the park. And when I say talking about all of our plans, I mean I was telling Brad about all my plans, and how I’d need him to help me execute said plans. Ah, marriage. 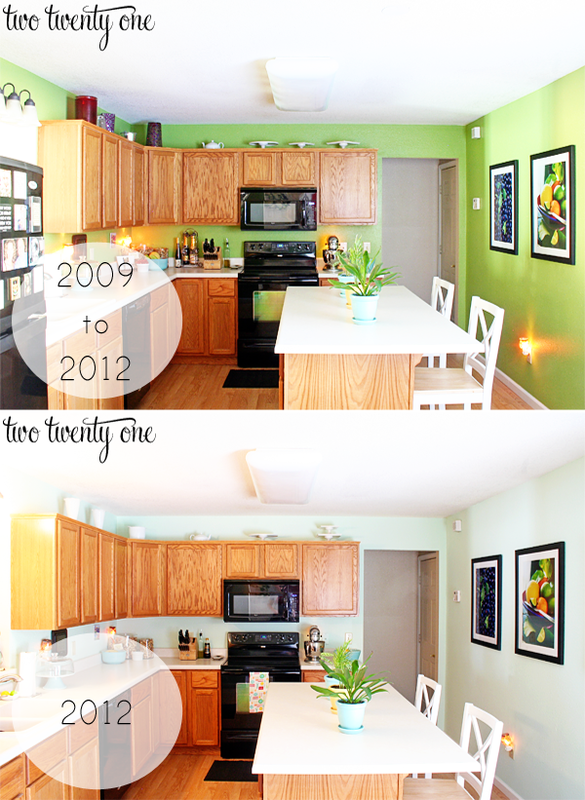 I started the kitchen revamping back in August when I took it from slap-you-in-the-face green to cool mint. Today I thought I’d share some of my inspiration for our kitchen revamp with you. I love Jane’s kitchen– the two-tone cabinets, thick crown molding above the cabinets, white subway tile, and glass cabinet doors. Basically I want her to visit me and help me redo my kitchen like hers. I’m loving the butcher block island counter top and built-in bookshelf. I also like the recessed can lights. As you saw in the first photo, our kitchen has a very modern, and oh so flattering, florescent light. I’d kill for a kitchen with this much light. KILL. I like how the darker butcher block island counter top contrasts with all the white in this kitchen. 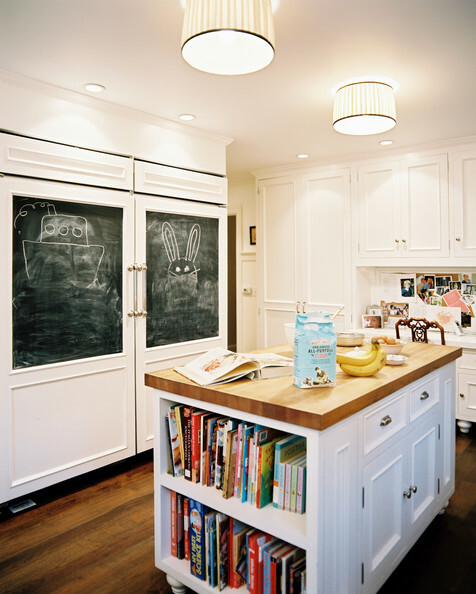 Are you planning to revamp your kitchen this year? What’s your plan? Who wants to see me finish my kitchen revamp this year? I put my hand up for wanting to see you finish your kitchen revamp this year! You have tons of time, 8 1/2 months! I cannot do a whole kitchen revamp (“gutting” the kitchen and starting over) but I am planning on painting the white walls and the grey laminate cupboards. And who knows? I may even have a go at the white fridge and white stove! Seriously, I am on the same page as you. I love white cabinets, glass doors, and butcher block. So if you have Jane come and redo yours, then please come up here to redo mine! Ha ha…great post and can’t wait to see your progress! Just recruit all your local bloggy and non-bloggy friends for a weekend of cabinet painting and butcher block sanding. Sounds like a fun time to me, I’m totally in. I’m seriously in love with the kitchen from Modern Jane. Can’t wait to see what you guys come up with! I’m sure you’ll do a great job! You’re kitchen has so much potential! And that mint color on the walls will go awesome with a bright white kitchen! Can’t wait to see what you come up with! I just went through a kitchen renovation myself (well it’s still going on…) so I love seeing other’s kitchens. I like the inspiration!! You definitely have the room to have an accent butcher block island…I say go for it!! I think you will find that once you start by painting your cabinets white, you will really enjoy finishing the rest of the kitchen! That step alone will make such a huge difference! 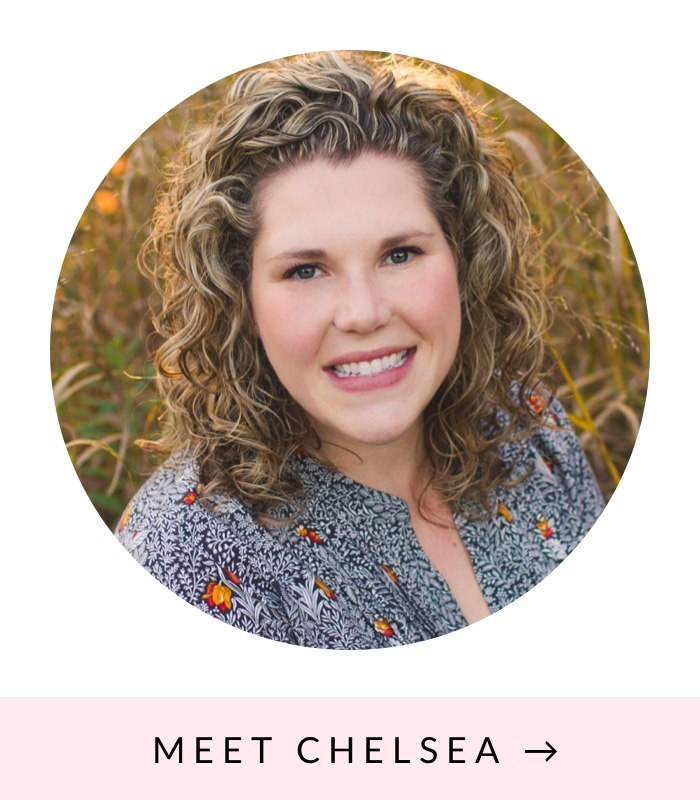 Can’t wait to see it Chelsea! I cannot wait to see what you do! Your kitchen is going to look AWESOME when you’re done! We rent so we can’t revamp the kitchen the way I’d like to (it’s got a sort of awkward layout with almost no counter space). Instead, I’m trying to come up with a way to get some more storage so at least it doesn’t feel like it’s got so much wasted space. I love your ideas for your kitchen and I can’t wait to see what you end up with! I’m hoping to paint our kitchen cabinets white. And I definitely want to see your tutorial on making glass-fronted doors, I’ve been thinking about doing the same thing, but I can’t find a good tutorial (aka one that goes step by tiny step with lots of pictures!). Can’t wait to see how it goes! We have the exact same fluorescent light fixture, and I hate it! We plan to put a couple pendants in its place! Can’t wait to see where your kitchen goes! Oh god. I love your inspiration photos! The two-toned look is totally my kitchen of choice at the moment, but you can’t go wrong with a light and airy style! I love your inspiration photos. I think my pinterest board is filled with white kitchens. My husband and I are currently in the process of looking for a new house so I can’t wait to design not only the kitchen but the whole house!!!! We are doing a Phase I and a Phase II in our kitchen. Phase I, making it livable so we can save up for Phase II renovation. Phase II will be painting our cabinets (something I can’t really do 7 months preggers). My kitchen is currently “green apple” and it’s bright and cheery, but I am so ready for a change! I love the two-tone cabinets and think the white & gray are amazing together. I’d love to do that in my kitchen. Can’t wait to see what you decide to do! So excited to see what you do with your kitchen! It’s so much fun planning these things, isn’t it!?! I’m excited to see this transformation. IT will be gorgeous in all white. And you’ll be amazed at how much “light” will seem to be in there with white cabinetry. Lighter and brighter. Love your inspiration photos!! White kitchens have my heart! I love the two toned one with grey and warm woods too. Can’t wait to see what you come up with! I love the color of your kitchen, what is the exact paint color? E-mail Brad. Check. You should be good to go now. I’m torn between kitchen #1 and #3. They are both gorgeous. I love white kitchens. They look so bright and clean. Can’t wait to see what you do! I want to redo mine sooooo bad. SO. BAD. You’re going to get me in trouble with this kitchen reno of yours, I can already tell.